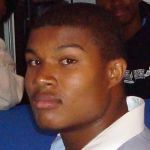 Warren Dawson Woods III is a student at the University of Washington, Seattle and is slated to complete his studies and graduate in the 2012 graduating class. Majoring in Political Science with a minor in Music, Warren was born and raised in Walnut, California although he spent some of his youth in Los Angeles. Warren is a long jumper and a member of the UW track team.